HOUSTON (CN) – Texas waited nearly six years to bring a court challenge of Deferred Action for Childhood Arrivals, which shields some immigrants from deportation, so its motion to immediately end the program fails, a federal judge ruled Friday. Leading a coalition of eight Republican-controlled states, and joined by the Republican governors in Mississippi and Maine, Texas sued the federal government on May 1 in a bid to end the DACA program. U.S. District Judge Andrew Hanen agreed with Texas that it has standing because DACA recipients take jobs that could go to U.S. citizens, and states must pay for their public school educations and for emergency medical services if they are uninsured. Despite those findings, Hanen said Texas cannot demonstrate irreparable harm needed for a preliminary injunction because it waited too long to sue after DACA became the status quo. To qualify for DACA, an immigrant must have lived in the country since June 2012, arrived before the age of 16 and be under 31 as of June 15, 2012. Those parameters mean the entire population that could qualify for DACA was set when the program launched in 2012, Hanen said. He said that also worked against Texas’ request for a preliminary injunction. “Since that finite population is not growing … this court does not consider the possibility of new applicants or renewals an emergent situation demanding injunctive relief,” he wrote in a 117-page order. Hanen, a George W. Bush appointee, is well-acquainted with DACA. In 2014, he and the Fifth Circuit blocked another Obama administration program that offered protections from deportation to parents of U.S. citizens and lawful residents, and a new version of DACA that would have made more people eligible. 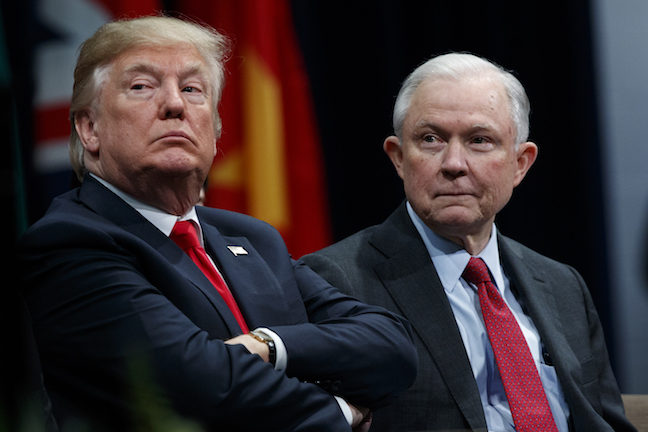 The Trump administration announced in late summer 2017 it was winding down DACA after Attorney General Jeff Sessions said it is illegal and cannot be defended in court. The federal government is now in the odd position of a defendant in the Texas case, agreeing with the red-state plaintiffs that DACA must end. Twenty-two DACA recipients and New Jersey have intervened to defend the program. They are represented by the Mexican American Legal Defense and Education Fund (MALDEF). The group’s president, Thomas Saenz, said in a statement he disagrees with Hanen’s view that DACA runs afoul of federal law, but praised the judge for denying Texas an injunction. “As MALDEF has long contended, there are legal consequences for Texas in delaying its challenge to DACA for six years. Today’s decision correctly recognizes that the balance of possible injuries and the public interest weigh heavily in favor of allowing DACA renewals to continue, as currently required by orders from other federal courts around the country,” Saenz said. DACA has persisted thanks to nationwide injunctions issued by federal judges in San Francisco and Brooklyn, who both said the Trump administration has not adequately explained its decision to end the program. A federal judge in Washington, D.C. ordered the administration to start accepting new DACA applications on Aug. 23, but he stayed the order on Aug. 17. Numerous public opinion polls show a majority of Americans believe the roughly 1.2 million immigrants who qualify for the DACA program deserve to stay in the country and become lawful residents or citizens. But the public support has not translated to legislation in Congress, which has proposed and failed to pass at least five bills this year that would have given lawful status to this group of immigrants who were brought illegally into the United States by their parents. Critics say President Donald Trump, who in January called DACA recipients “good people” who “should be able to stay in this country,” is using the immigrants as leverage to try to get funding to make good on his campaign promise of building a wall on the Mexico border. DACA protects from deportation, for renewable two-year terms, an estimated 750,000 immigrants brought to the United States as children, and lets them obtain work permits and driver’s licenses. More than 100,000 of these immigrants live in Texas. Despite the setback for the state, Texas Attorney General Ken Paxton said he believes Hanen’s order lays the groundwork for DACA’s demise. “We’re now very confident that DACA will soon meet the same fate as the Obama-era Deferred Action for Parents of Americans program, which the courts blocked after I led another state coalition challenging its constitutionality. President Obama used DACA to rewrite federal law without congressional approval. Our lawsuit is vital to restoring the rule of law to our nation’s immigration system,” he said in a statement.